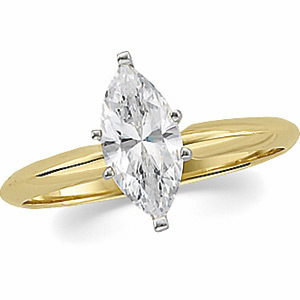 Stock #S101M:1 or 2 Carat Marquis Cut Russian CZ in 14K Gold Antique style scroll Solitaire Ring. This Gorgeous russian CZ is more precisely cut & polished of the best CZ quality available... VERY NICE STONE. . (Also available in yellow gold)... Other stone sizes by special order.